I serve Battle Ground, Brush Prairie, Hockinson. 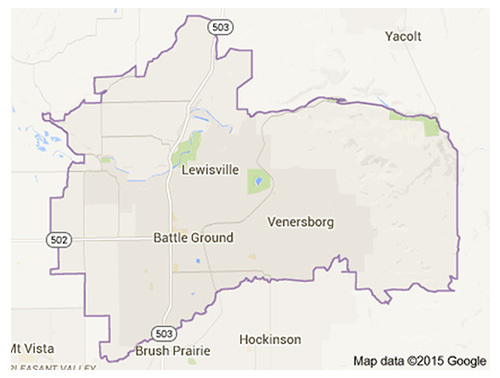 98604 & 98606 zip code areas. To estimate mileage out of my service area, measure from the edge of the zip code map closest to your home. Serving Yacolt, Amboy & Ridgefield for $30/visit, or less depending on where you live. Fill out this short message form ↓ and I’ll get right back to you. Looking for my resources Page?